I'm going to make a prediction. Do you want to know who will be challenging for the league title in a few years time, lets say the 2015/16 season? Why? It's simple. NUCOS. What's that then? Well, it's a little formula I've come up with that stands for Newcastle Utd Cycle Of Success. What this consist's of is a policy of only buying quality players ages 18-26, for a reasonable price, building a quality team with them, if a transfer bid of anything above £15mil at least comes in for one of these stars, then they sell the player, then bring in another 18-26 year old of similar quality for a fraction of the price. What the above fits into perfectly is the soon to be realised UEFA financial fair play rules very, very nicely. Man City - They will no doubt be up their, however the days of being able to spend £100mil on players will be over due to the UEFA FFR, unless they sell to pay for it. So the gulf shouldn't be as wide as you may think. Although they will no doubt be the big hitters. Man Utd - Alex Ferguson will be gone by 2015/16, you would think. If not gone, then definitely over the hill. So a Man Utd without him is a totally different breed. They will be trying to create 'a legacy' by this stage and a transitional period will be in full swing. I'm sure they will be up their in the top 4, however, they will be what Arsenal are today. Also rans. Chelsea - Similar to both of the above. Fair play rules means Abramovich will no longer be able to go out and buy a Torres, and that's even if he will still be their. Which I doubt. How bored will he be at not being able to flex his financial muscle as much as would like. Does a £15mil signing excite him? Doubtful. Tottenham - Spurs are reliant on 'Arry at the moment. A lot. He will be a failed England manager at best or a has been who is in jail for financial misgivings at worst. Either way, he will be long gone as far as Spurs are concerned and will have slipped into Premier League also rans again. Arsenal - Wenger will be gone. They're fans will be disillusioned. They wont be able to fill a stadium. If they do, it will be full of cynical boo-ers who talk long and hard about 'the invincible' days and how good they used to be. Too reliant on Wenger, not that they realise it. Tim Krul - He looks class now. In 3 years he will be 26 years old and one of, if not the best keeper in the league. Even if NUFC do sell him, then they will find themselves a Vorm for the fraction of the obscene fee a Real Madrid might pay for him. Steven Taylor - In 3 years he will be Toon captain and England regular. Remember, Terry and Ferdinand will be long gone. He has finally fulfilled his potential this season. Watch him grow. Davide Santon - In 3 years he will be in the Italy team with no doubts whatsoever. The next Maldini will be, well, the next Maldini. If a Milan or Inter bring him back to Italy, how much will the best Italian full back cost them? A lot. Yohan Cabaye and Cheik Tiote - Name me a better centre midfield partnership in the league this year. Parker/Modric maybe. But as a partnership, they are the best. Both can tackle, pass, shoot, cross, create, work hard etc etc. They are immense now. In 3 years they will be 28 and 29. Rock solid. Once again, you wanna buy one? Get the gold plated cheque book out. Hatem Ben Arfa - This boy is class. He is as talented as a David Silva and Juan Mata but without the 'Spanish' tag thats around these days. He has scored 3 goals and grabbed 2 assists in the 2 games he started in the past 7 games. Once Obertan is finally dispanded, watch this boy flourish. In 3 years he will be 27 and in the prime of his life. Cant wait. Demba Ba - You've seen him. Best striker in the league? 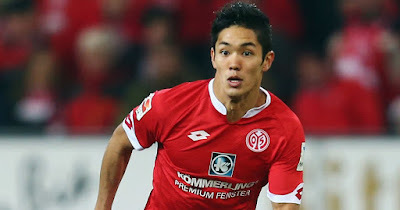 RVP has more goals, but can he dominate like this boy? Questionable. Once this contract release clause get's sorted, you want him? Bring a few a briefcases filled with rubies, diamonds and a Pharaohs precious gold. 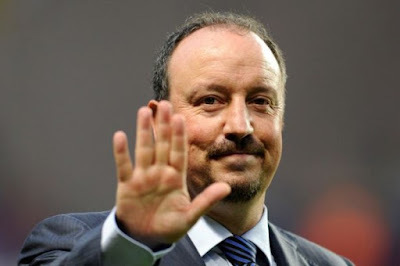 If NUFC do sell, they will find another Demba on a free transfer. Genius. Are you starting to catch my drift? NUFC have the stadium in place. The fans chomping at the bit. The players. The perfect financial policy. The untouchable scouting system. 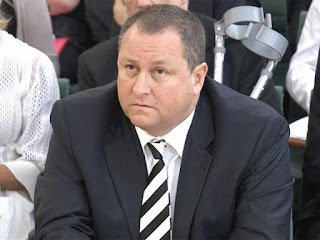 As long as Mike Ashley doesn't f*ck up the perfectly laid plans he has put in place.....then you see where Newcastle will be after Fergie/Wenger/Abamovich/Redknapp are gone. When UEFA's Financial Fair Play rules are part of the course across the world of football. When big team's with big wallets can no longer just dominate buy buying countless players at a time but have to pick and choose carefully with one big signing per season that their spoilt fans will demand.....which will probably be a Newcastle player for £15mil plus, which they will replace with a 18 -26 year old of similar quality, for a fraction of the price. Or in other words; NUCOS. The future's bright...it's black 'n' white.